MetalRockNews: Tony Iommi: "I want to record new music with ex-Black Sabbath singer Tony Martin"
Tony Iommi: "I want to record new music with ex-Black Sabbath singer Tony Martin"
Black Sabbath's Tony Iommi was recently interviewed by The Music, you can read some excerpts below. 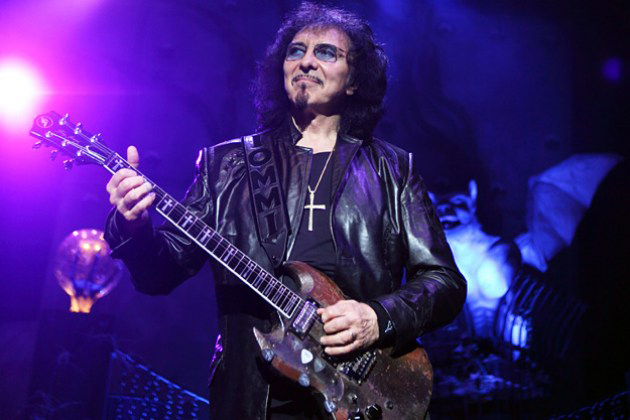 He said that he hopes to reunite with the band's former frontman Tony Martin to record new music to be included with the upcoming reissues of Sabbath's "Headless Cross" and "Tyr" albums. "We've held back on the reissues of those albums because of the current Sabbath thing with Ozzy Osbourne, but they will certainly be happening." He added: "I'd like to do a couple of new tracks for those releases with Tony Martin. I'll also be looking at working on 'Cross Purposes' and 'Forbidden'."